Hello Readers, In this post we will learn how to earn money using Adhitz. Every blogger wants to earn money from their Blog's content and they should be looking at it as well because they work hard to write content and help others. Adsense is undoubtly the most trusted and highly paying ads network with a big brand power. That’s why it is hard to get approved for it. There are many other ways that can help you earn money like I told you about affiliate marketing in my previous post. This post will discuss another good method of earning money online which is Adhitz that will help you getting good amounts while blogging. There are number of advertisers looking for good blogs and websites to put their ads on. You can sell ad spots on your blogs/websites or you can earn by putting their network ads with CPC (cost per click). 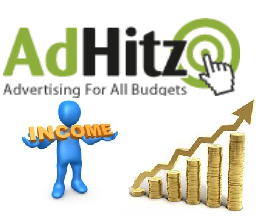 If you get a good amount of traffic you can easily monetize and earn money with your blogs/website using Adhitz. They are up and helping publishers to earn money online since 2009. They have a revenue sharing ads program and your earn 70% of the earnings from your ads. Their CPC rates are open $0.03 to $0.13 depending upon the user who visits the ads, for more info about CPC rates for different countries you can visit their website. They do not only offer CPC program, but you can also sell ads spots on your website. You can set the cost of your ads spots as well. You can set a minimum of 2$ for your ads to a maximum of whatever your expectations are for a period of 7 to 30 days. Till the time your ad spots are not sold they will show CPC ads on them so that you can still earn money. You can accept and reject ads that mean if the ads are not relevant you can turn them off. You can choose from a variety of ad sizes. They support both text and image ads. Adhitz have a good support system, and they revert back to your queries fast. They have various payment options including PayPal which is good for Indian Bloggers. 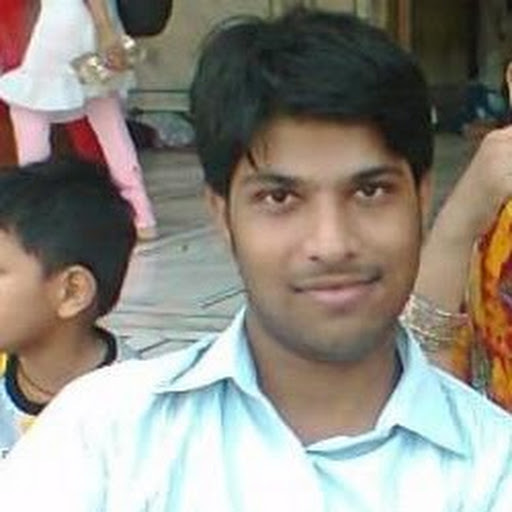 I am also using adhitz and would suggest everyone to use it. However if you write about PPD websites, Online earnings, Blog monetizing techniques you can easily attract more advertisers to put ads on your blog. The only thing that is not good about them is they do not accept all countries but India, UK, US and many other countries are accepted by them. You can check whether your region is accepted or not. If you like my work; you can show your regards by hitting Facebook like button, following us on Google+, stumbling our posts on stumble upon or giving us a link back via the links below. Stay tuned for more updates. Do you like this post? Please link back to this article by copying one of the codes below. Yes Adhitz is a good and legit website,,but i removed it from my blog because it was not showing relevant ads..They usually post ads for money making and most of my readers like blogging and seo tips,,The CTC rates are 3-16 cents depending upon the user who clicks your ads..They work on revenue sharing so they will accept you easily..You can give it a try because I know a few people who got paid by them.. Arun..I guess your blog is new..as per Google Adsense requirements the domain age should be at least 6 months and you should be getting at least 300+ unique visitors or 700+ page views every day...One more thing if you promote crack softwares or hack, it will be difficult to get accepted by them..
Iam using infolinks now but not get decent ratings ..
Qadabra how much i earn per 1000 impressions and per click? The CPM depends upon the traffic of your Blog..you may get as low as 5 cents or may get 50 cents or may be more than that per 1000 impressions..Click rates depends upon the locality of the user who clicks your ads,,so can't say anything about it..But you should be aiming for more impressions rather than clicks in Qadabra..
You have mistakenly removed the comments code from your template. I am using the same template and its working fine here. You can check the code with the original template before editing any thing. Check your email..i have sent you the original template..Take a backup of your current template and upload the template i sent you.. Please check the email id..i sent you the template but got a delivery failure message..
Infolinks is paying Good For you ? Which other Banner Advertising you are using ? I started using Infolinks just a couple of days ago..so i can't say much at this time..Let me review the earnings for a week or so and then i will post an article for the same..Infolinks is a great website and has higher eCPM than many other CPM based ads networks..
Qadabra pays your for clicks as well as for CPM, adhitz pays you for Clicks only..So you can decide what suits your needs best..
i used adzhitz for xcubehost.com and got me 50+ paying customers in 2 weeks, amazing! © Unziptech-The Technology Blog. All Rights Reserved. Powered by Blogger.